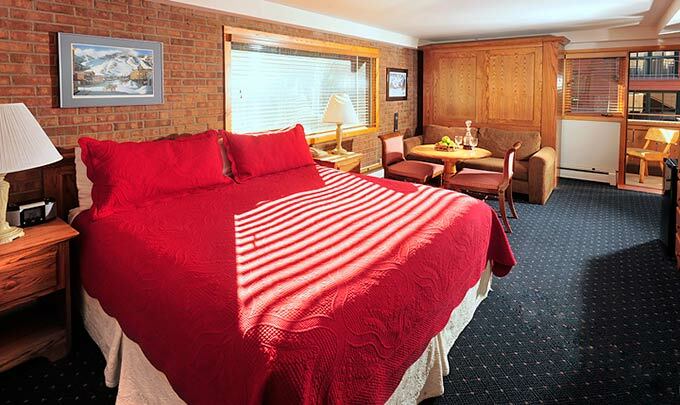 Our Large Rooms offer more space for relaxing. King bed and queen murphy bed, or king and two twin beds (trundle), or king and twin sofa bed are our various combinations. These rooms have flat screen televisions and small refrigerators and some have balconies. All our rooms are different and unique. Whether you’re coming for a romantic getaway or a family ski week, our large rooms offer great accommodations for your needs. High-speed internet access including wireless.